The state had nearly 300 drug-related deaths in the first nine months of 2018. It’s a New England solution for a nationwide crisis. Maine Governor Janet Mills and her advisers want to use a Rhode Island-made product to combat opioid overdoses. A report from Maine’s Attorney General shows the state had 282 drug-related deaths in the first nine months of 2018. To address the lingering drug problem, Mills convened a special cabinet meeting on Wednesday with discussion focused solely on opioids. One solution that emerged from that conversation, according to Gordon Smith, Maine’s new Director of Opioid Response, is a decision to put 100 NaloxBoxes into public buildings in Maine by the end of summer. 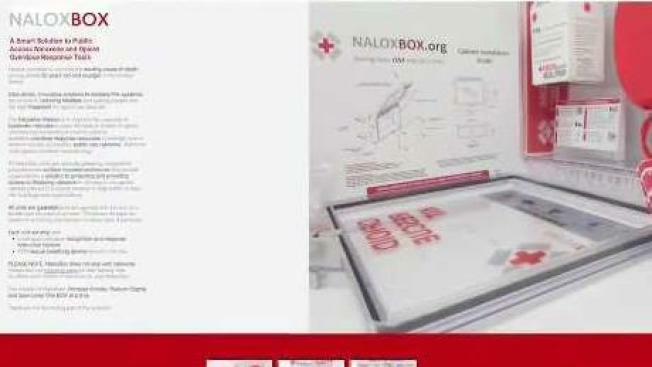 NaloxBoxes are kits that contain the drug Naloxone, which can be used to reverse the effects of an overdose on someone suffering from one. Smith says the NaloxBoxes would be placed in highly visible areas in buildings just like defibrillators with a big picture goal “of ending the stigma” associated with opioid addiction. Recovery advocate Alison Webb, who works with the Portland Recovery Community Center, says the decision represents a huge mindset shift from just a few years ago, when “no one really knew” what Naloxone was. Webb went on to add that treatment is only part of the solution to the drug crisis but NaloxBoxes are a very helpful treatment solution to prevent more Mainers from dying. She also said people who see someone overdosing should not be afraid to use the kits because they have instructions on how to administer care right on them. As for which specific buildings will get the kits first, Smith said his plan is to start with state-owned buildings like certain courthouses and offices of the Bureau of Motor Vehicles since that will not require the extra step of working with planners in local and county governments.